In the summer of 1989, I stepped off the BA73 into a steaming hot Sultanate of Oman to begin my first British Embassy tour-of-duty; a very green 20-year-old Foreign Office employee wilting on the tarmac in a new tropical suit. 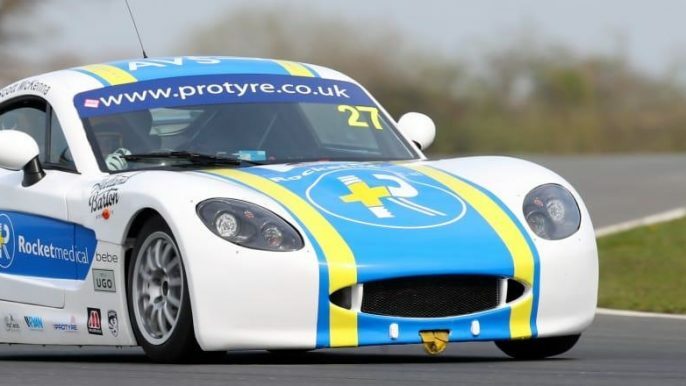 As I was whisked away in a gloriously air-conditioned Land Rover I noticed that my watch had steamed up inside the glass due to the alarming changes in pressure and temperature it had been subjected to – Boeing 747 to scorching airport apron to a freezing vehicle. Knowing very little about watches I made a mental note to learn why my “unbranded” 30m diving watch clone had done this. I soon learned that water resistance ratings on watches actually don’t mean what they say and immediately bought a 100m steel analogue Casio to keep humidity, sand and water out and cracked on with the new job. Embassy days were long and hard, but for downtime, the office had a small, well, stocked library containing used books donated by current and previous staff. Claiming it was mandatory reading my boss suggested I try Ian Fleming’s Bond novels in chronological order. Thus I began Casino Royale, and my life changed forever. I discovered, in my humble opinion, the greatest of British authors, a fictional book hero whom I still admire today, and most important a permanent desire to own a Rolex. When Bond used his stainless-steel Rolex as a weapon to eliminate a guard in On Her Majesty’s Secret Service and glanced at the luminous dial underwater in Live and Let Die I was truly fascinated by the relationship he had with his watch – a totally reliable partner in adventure. As if to compound my desire the Embassy’s monthly copy of National Geographic always sported a full-page Rolex advert showing a Submariner or Explorer in some exciting environment. I resolved to buy my own Rolex only to find that they were very expensive and some serious saving would be required. With much discipline this was duly done and many months later I finally went to work wearing a new black-faced Rolex Air King. 30 years later I have bought and sold many more watches, including the original Air King. 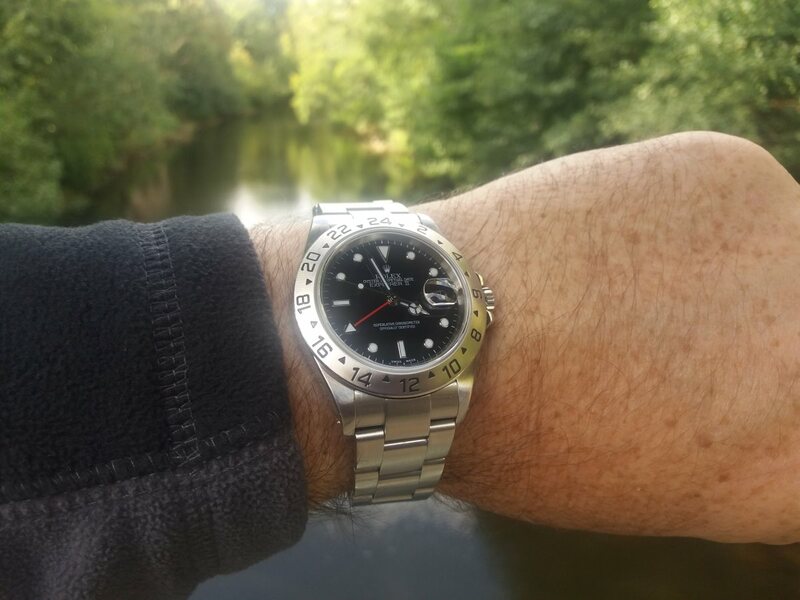 I have travelled the globe with a non-date Submariner, a GMT Master II and now I wear a 2003 black faced Explorer II; and this 15-year-old watch, my favourite Rolex, has been my constant companion ever since, through many adventures during and after Her Majesty’s Service. 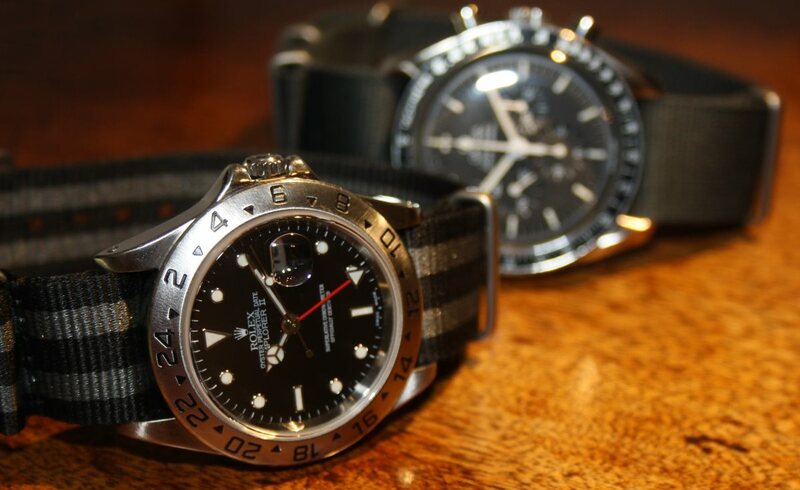 I currently fluctuate between a Breitling Blackbird, an Omega Seamaster, a Speedmaster Moonwatch and the Rolex. I use these watches every day. However, if I had to grab one in extermis, it would always be the Explorer II. There is and forever will be something special about the Rolex; least of all because it’s the most expensive. It is a much deeper relationship than that. It feels the most robust and reliable. The winding rotor is silent with no perceivable movement. The Calibre 3185 hums away effortlessly with the smoothest of sweep hands and the older style green luminescence shows no signs of weakness, still offering comfort if you wake in the wee small hours. I have recently had the watch serviced by a local craftsman in Chesterfield who gave me a detailed report after full disassembly prior to ordering new parts from Rolex. £500 is a lot for a service but the quality of the job and the love with which the watch was reassembled and re-tested has made me fall for the Explorer all over again, like the first day I bought it. And as the name implies it is a well-travelled companion. I avoid jet lag by employing a trick an old Ambassador taught me. 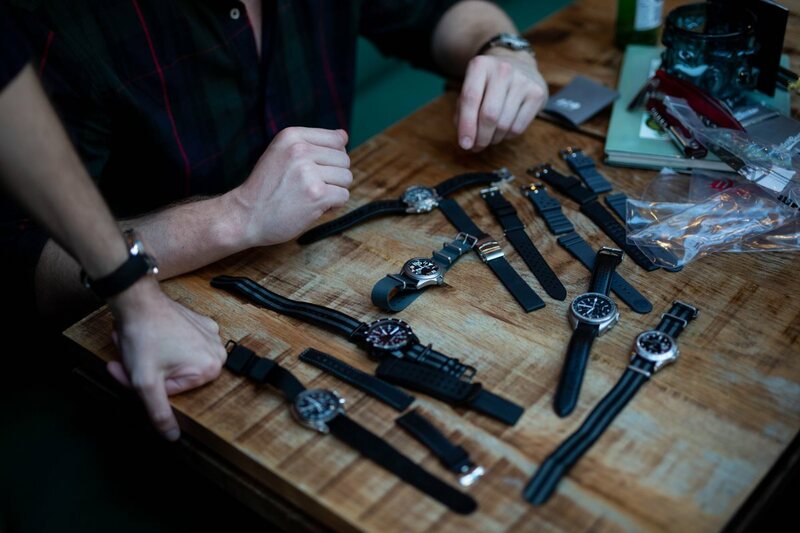 As soon as you settle yourself on an aircraft change your watch to the local time of your destination. That way your brain gets programmed to that time through the flight and if you glance at your watch often (as I do) by the time you land GMT is a distant memory. 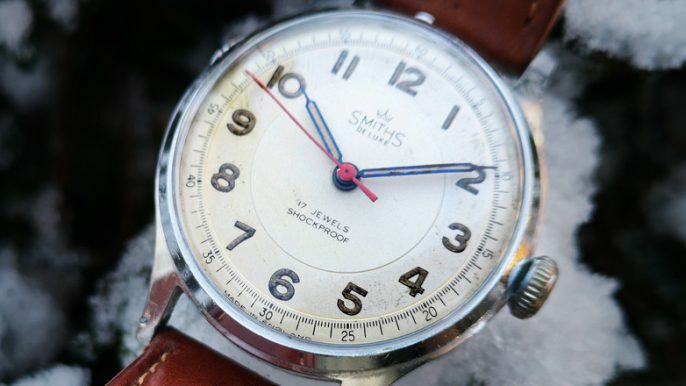 And with the Explorer II you have the joy of the third 24-hour hand where you can retain sight of GMT while you quick change the independent hour hand to true local. The workmanship with the Rolex is sublime, clicking the hour hand forward or backwards while the rest of the watch remains precise and ticking never loses its magic. The infinitesimal movement of the red 24-hour hand which takes a full day and night to circumnavigate the watch face tells me at a glance when I can call the UK from Singapore. It has always been a reassuring hand as it points to and helps me stay in touch with, home. I make no apologies for romanticising the watch. When you have worn a product for so many years and it has never let you down you can afford to be a little sentimental. 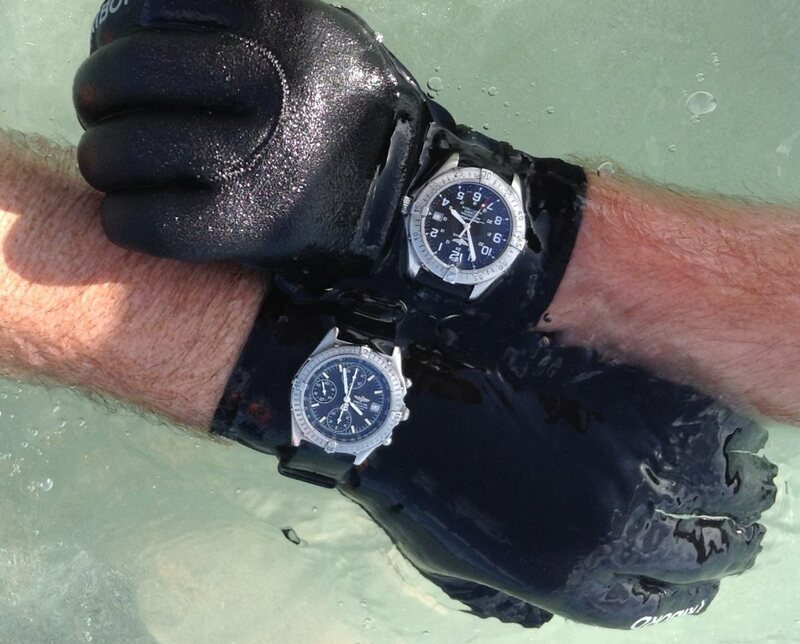 I am an avid snorkeler and the watch has spent many an hour underwater. A little warm soapy water and the stainless steel always returns to a perfect finish after a dive. In later life, I lived for many years in Abu Dhabi and the watch enjoyed serious desert exploration in temperatures as high as 55 degrees. Travelling with me my Explorer has been blasted by sandstorms and drowned in jungles while also being subjected to the rigours and impacts of a follow-up career in the military small arms market, all without a blip. We have family living in Hong Kong and this year when we visited the humidity was quite extreme. A walk in the city was like a journey through treacle but despite the Explorer having intense moisture (from the air and me) gathering in all exterior corners the face stayed clear and the watch functioned perfectly. 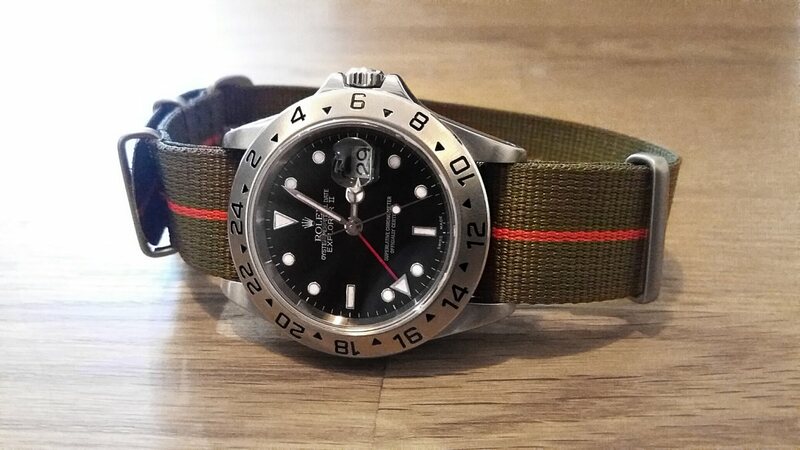 The only change I like to make and would thoroughly recommend to fellow users (I do this also with my Breitling and Omegas) is in adverse conditions swapping the Oyster bracelet for a high-quality NATO strap. I have tried and destroyed many and now only use ZULUDIVER NATO bands as they, like the watch, take every punishment you throw at them and never lose their strength or finish. Saltwater, sand, soaking sweat and humidity seem to have no bearing on ZD NATOs. In heat and humidity, a metal strap is uncomfortable. You can never release a Rolex Oyster setting quick enough. A leather strap is nigh on useless in humidity and will dissolve irrespective of quality. Rubber and silicone straps are good but you really sweat under them. The only strap for an extreme job is a NATO and frankly when your Rolex looks this good on one why not? 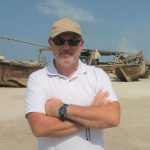 My Explorer II and I are bound for the sands of the UAE again in October this year. I will enjoy my little routine when I board the plane (still with a Fleming novel) and it is always a thrill to see the watch against a desert background. Doing what it does best – exploring. 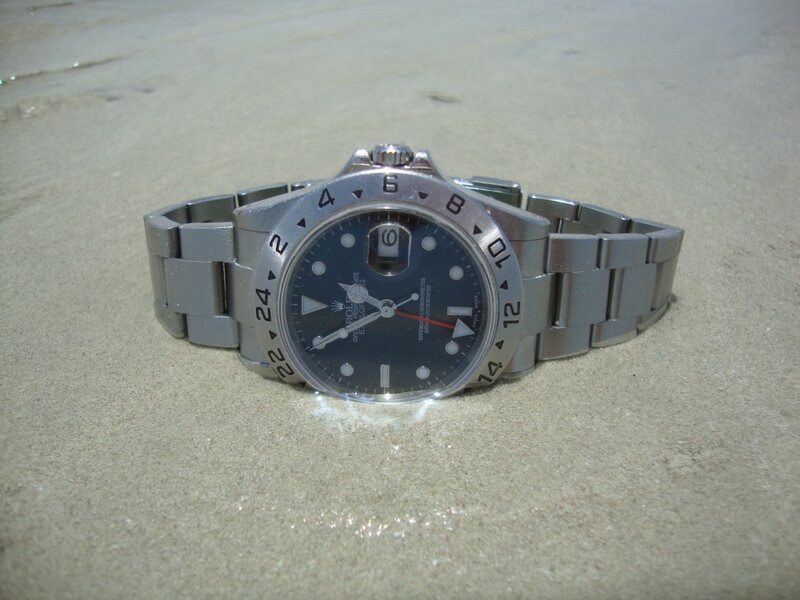 My Rolex Explorer; my constant, ineffably reliable, companion in adventure. The only dilemma is how many straps to take? Richard Brown is a retired small arms technical advisor and trainer who has travelled the world. He now lives with his wife and a West Highland Terrier in a 250-year-old cottage in the Derbyshire Dales, surrounded by beautiful hills and an eclectic watch collection. Well I enjoyed your journey and like yourself love my Rolex mine being a GMT master but must admit I love my Breitling superocean more it to has seen desert ! And of course the sea ! That's our boy and he hasn't changed since the first Rolex! Fascinating life story and what an incredible watch to survive your journey !!! 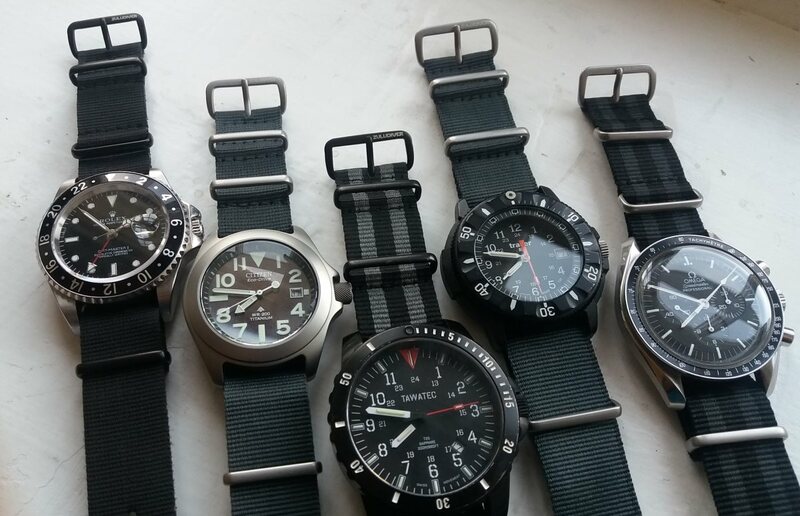 Thanks for the advice on the watch straps ,really passionate advice . As a fellow adventurer I completely identify with the importance of having a good old solid watch on your wrist. What with the proliferation of people using their phones to read the time I feel that we are losing a fundamentally important connection to the time that only a watch can truly bring. 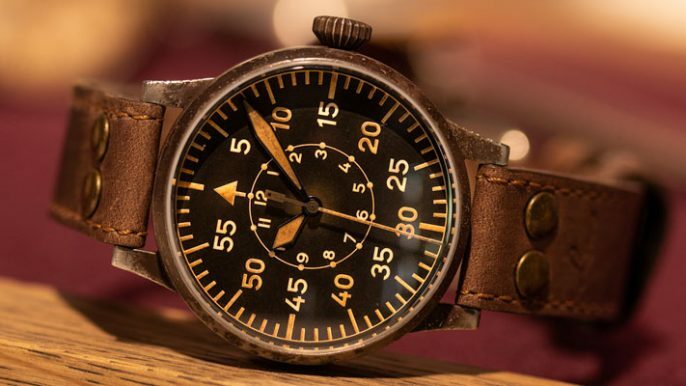 Speaking from experience there also so many practicalities that only a watch can offer such as a near endless supply of battery as well as the sadly not so well known skill of using your watch as a compass when in times of need! Living in a humid climate myself I have also struggled with straps on and off. They either seem to have an extremely limited life expectancy or my wrist ends up in a state of continuous perspiration. Good advice on the NATO strap, this is something I will most certainly check out. Great article. Looking forward to the next one and happy travels. Thank you for sharing. Great pics too! May you continue to wear it in good health.